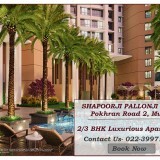 Shapoorji Pallonji Thane is golden development of builder which located in Pokhran Road 2 Thane in Mumbai. 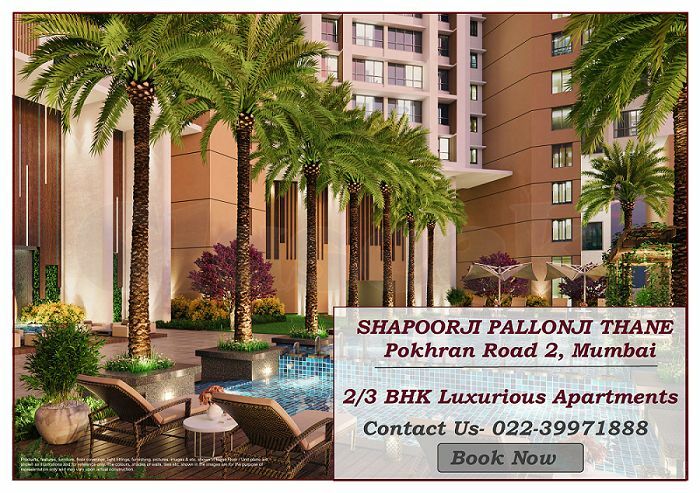 Shapoorji Thane offers 2 BHK, 2.5 BHK and 3 BHK flats are available in affordable price. This is the best choice to stay with the family that is included with ultimate features as much ample space, ventilation, and luxurious interior amenities. The apartment was situated at best location that is covered with lush Green Park through huge acres of lands. Thane is the city of natural things such as islands, lakes, rivers, and hot spring are natural beauty of this place which attracted to people for holiday packages. The Shapoorji Group has known for their hard work abilities, knowledge, and experiences. This Project offers many important facilities in this apartment such as games region, cafeteria, swimming pool, big terrace, yoga center, gymnasium, lift etc.